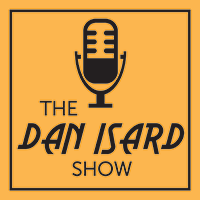 The Dan Isard Show features interviews with funeral professionals and directors throughout North America and is in a 30-60 minute podcast format. In addition to the interview segment, Dan has special guests like Chris Raymond, contributor to dying.about.com and Dan also offers a segment called Finance 101. The first show Dan Isard interviewed Doug Gober of Live Oak Bank, where they talked about getting a loan through the SBA. The show will be featured on Funeral Radio and is available for streaming on the website, download or subscription on itunes and windows and android devices. 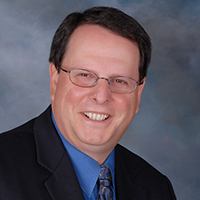 Daniel M. Isard has presented over 500 speeches to groups large and small, had more than 250 articles published in all major death care industry media, and written two books, both published by UCG/FCS Worldwide. Dan has consulted with over 2000 clients relating to funeral home management. For ten years he has been the editor of Preneed Perspective and Dan has been in the financial services industry since 1974. Funeral Radio is a podcast network for funeral professionals. The network has 5 other podcasts including Make Ceremony Matter More and the Green Burial Radio Program. Funeral Radio is a free place for funeral professionals to learn about the funeral industry and distinguished guests include: Kenneth Varner, President of the ICCFA, Jeff Taylor, Founder of Tributes.com and Monster.com and Thomas Parmalee, Executive Director of Kates-Boylston publication.